Are emotional support animals permitted on airplanes? What type of ADA cases have been filed lately against public transportation systems? Are ride-sharing services covered by the ADA? Find out the answers to these questions—and more—by participating in the April ADA Audio Conference. 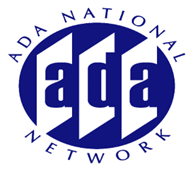 This session will provide an update on the latest legal trends in the world of accessible transportation and will focus on a wide-range of transportation issues including taxicabs, ride-sharing services, air travel, public transportation and private transportation, and will address issues under both Titles II and III of the ADA.